Mount Union gave a good foundation in music to enter the main stream of music and to get into the schools that eventually got me to The Metropolitan Opera. I am a solo principal artist, on the roster of the Metropolitan Opera, voice teacher and technician at Valdes Voice Studios in NYC, faculty member for the summer program of The Bel Canto Institute in Florence, Italy, vocal advisor and consultant in NYC. Mount Union’s music program had the structure to meet my specific needs and interests. The small college setting always appealed to me because the class sizes gave me the opportunity to ask questions and to allow the professors to give me the attention I needed. The choral programs were very important in my decision to choose Mount Union, and the institution’s music program provided me with the history, theory, basic musicianship and practical skills necessary to achieve career success. Mount Union gave me a good foundation to enter the mainstream of music and to get into the schools that eventually led me to The Metropolitan Opera. Mount Union did not feel like a college to me, it felt like a big family. At the time I was a student, there were 1,100 students on campus. Cope Music Hall was a safe haven, a place that we all came together and could chat, cry with and support each other. In that sense, Mount Union was different. I am able to make this comparison after experiencing the conservatory after graduating from Mount Union. I cannot say that there was one professor who was my favorite. The relationships I had with the teachers in the music department were very special but there were teachers from speech, theater and other departments at Mount Union who also enhanced, advised, inspired and gave so much to me towards my understanding and growth. After graduating from Mount Union, I went straight to the Cleveland Institute of Music and Case Western Reserve for my Master of Music degree with a well known and recommended voice teacher, George Vassos. I later participated in the Israel Vocal Arts Institute (IVAI) to prepare and learn leading roles, which led me to Juilliard to be a member of the Juilliard Opera Center (JOC). 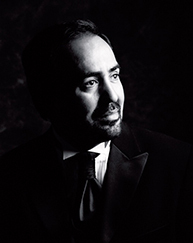 I have sung in opera houses throughout the United States, South and Central America and Europe. While in school, I was a part of choir, Master Chorale, marching band, concert band, brass choir, orchestra, Phi Mu Alpha Sinfonia, American Guild of Organists, percussion ensemble, Sophomore Service Honorary, Association of International Students, An Evening in Vienna (1980), Snowball King (1981), Language Club, Student Senate, Executive Board, Sigma Alpha Epsilon, Who’s Who, Blue Key and Fast. I have found some of my old friends, and now it is much easier through Facebook. I always go back to my foundation and those ideas I got from Mount Union as a music education major. This foundation has afforded me a voice studio in New York City and a teaching position in Florence, Italy. I would like to teach and inspire the new generation of singers. I get the chance to sing in one of the most important opera houses in the world as a soloist. I enjoy learning more each day about my craft and the mechanics of putting a production together. Now, with the high-definition programming that is transmitted to the theaters around the world, we are challenged even more as artists.